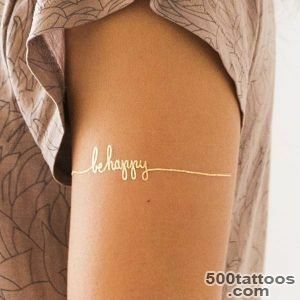 The bodies of most of today's fashionistas and celebrities can often see a variety of traditional tattoos , but in recent years in their environment are becoming more and more trendy golden tattoo applied using pure gold . 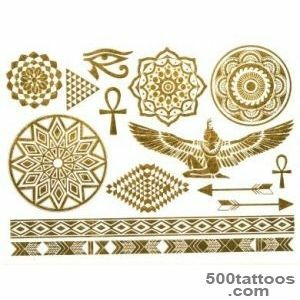 This type of tattoo dates back to the popular Oriental women tattoos , henna applied .These are the traditional tattoo in the Middle East and lay the basis for the idea of ​​a gold tattoo . 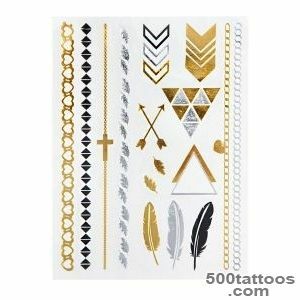 At the time, the possibility of applying these tattoos was available only to wealthy people , now it is available for almost everyone. 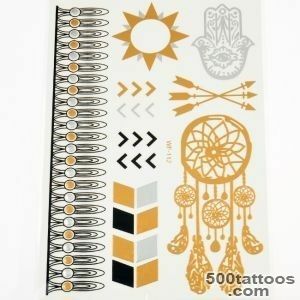 So , it is becoming more and more popular tattoo stickers (flash tattoo),the cost of which ranges from $ 30 for a set . 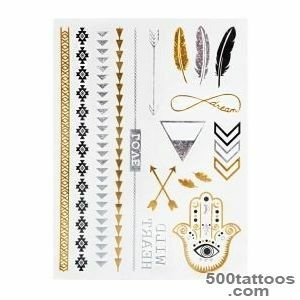 Variations of the method of tattooing different data : ornaments , ethnic groups , geometric shapes , patterns and combinations of different styles . 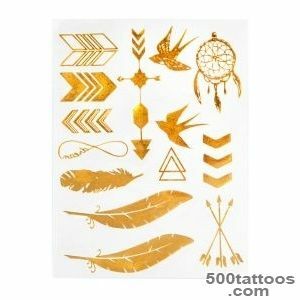 Feature gold tattoos is that the duration of their existence is about 7 days , and it is , on the one hand, the drawbackother - advantage , since there are no further problems with their disposal. 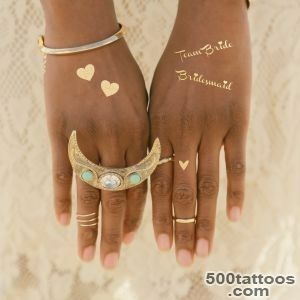 The greatest demand for these tattoos arises among brides . 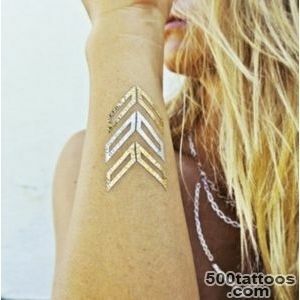 And it is no coincidence , because the gold tattoo very original and beautiful. 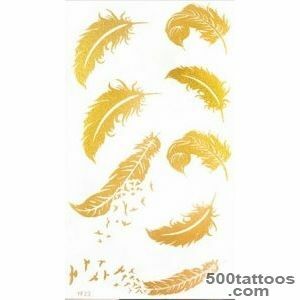 These " golden paintings " look elegant and tanned skin . 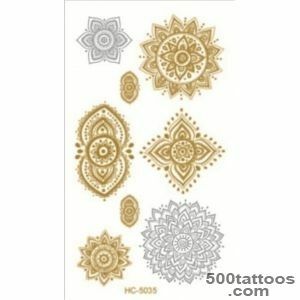 For example, on the beach they will look great,and its brilliance will attract to its owner a lot of attention . 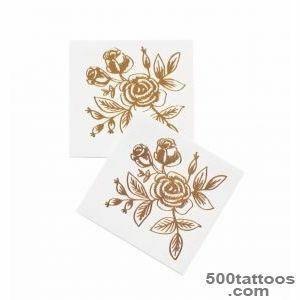 Since gold tattoos look in the form of two-dimensional decorations , they are suitable for any environment. 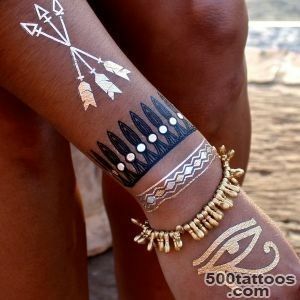 They look great on her wrists and arms , on his chest . 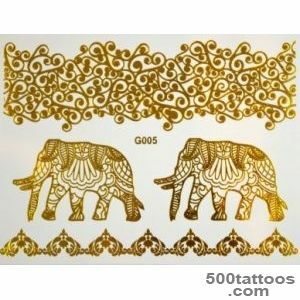 Golden tattoo harmoniously combined with real jewelery , because they themselves appear as fine jewelry.Patterns gold tattoos can be effectively complemented by Swarovski crystals to give the illusion of volume . 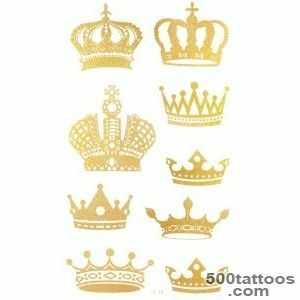 Golden tattoos have become a symbol of style and fashion , has revolutionized the traditional people's minds about the approach to tattooing . 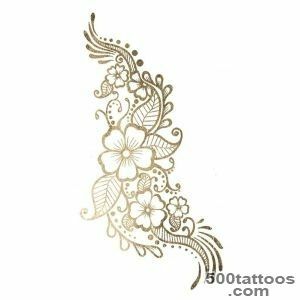 They quickly won the hearts of the supporters of body art , is currently classified as classical .The process of applying the golden tattoo does not require time-consuming , for everything is given no more than 10 minutes. 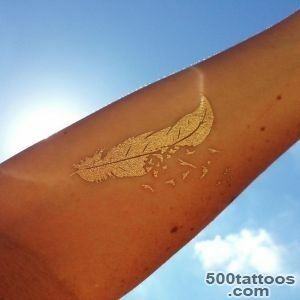 The technology of applying the tattoo can not be called difficult . 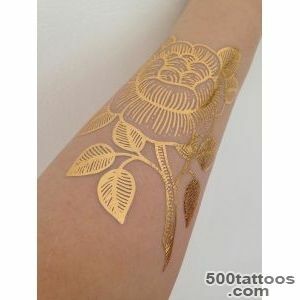 This is done using a tattoo superfine gold foil , which is applied to the skin. 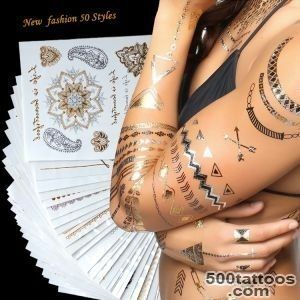 It is noteworthy that the gold tattoos have become in demand among Arab sheikhs .